Whether workers are constantly on the go from meeting to meeting, or just need a comfortable place to anchor down, the key word pushing innovation in today’s office is flexibility. The modern workforce requires versatile technology that can meet whatever needs the day may bring, while ensuring productivity remains at the forefront. 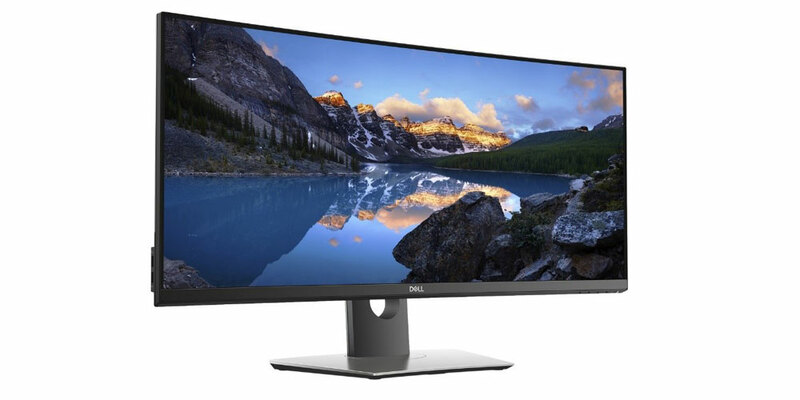 Today, we’re excited to announce the latest addition to the world’s #1 monitor lineup: The Dell 34 Curved Monitor (P3418HW) with 2560 x 1080 WFHD resolution, allowing workers to work more comfortably and more flexibly than ever before, and all at an affordable price point. When combined with Dell’s extensive list of curved displays, peripherals and accessories, this monitor can support modern workers on the go, during long deskbound hours, and everywhere in between. Regardless of industry, today’s employees are spending more time in front of a screen than ever before. That’s why Dell has quite literally bent our product specifications to better meet their needs through our curved monitors. With 2560 x 1080 WFHD resolution, our new curved monitor enables an immersive wrap-around experience with a greater field of vision. Not only does this ultra-wide screen help minimize peripheral distractions, it also gives users a 33 percent increase in extended view (vs. a 27” FHD screen), allowing them to see more onscreen content within a single glance. The screen curvature offers a consistent focal length, meaning workers’ eyes don’t have to work as hard throughout the day to view the entire screen. Of course, their eyes aren’t the only part of their body putting in long hours. The Dell 34 Curved Monitor features an adjustable stand, allowing workers to tilt and adjust their screen to the height and angle that works best for them. And this ultra-wide screen was made for multitasking. Workers can utilize Dell Easy Arrange to seamlessly lay out and move between multiple applications or leverage the Picture-in-Picture and Picture-by-Picture features to work on multiple tasks across multiple PCs simultaneously. The Dell 34 Curved Monitor is designed for workers in the financial or data analytics industries, as well as business professionals, engineers or programmers looking for a more affordable curved monitor, which still meets the intense demands of their day-to-day tasks. The three-sided ultrathin bezel adds to the expansive view and makes it easier to use multiple monitors without image interruption. It also displays color beautifully right out of the box with 99 percent RGB coverage. And, as always, workers in creative or visual fields will appreciate Dell’s precise color calibration. This monitor features 99 percent sRGB, and as a bonus, workers’ eyes are also less fatigued from blue light emissions, thanks to ComfortView, and its flicker-free feature. For those times workers need to keep their heads down and focus, we’ve even considered the best way to optimize their motivational playlists. The Dell 34 Curved Monitor comes with built-in dual 9W speakers for clear audio when they need to share, or they can plug in in Dell’s Pro Stereo USB headset to seamlessly switch between playing tunes and taking calls. If our users’ office setup isn’t working as hard as they are — it isn’t working. Dell 34 Curved Monitor (P3418HW) is just the latest addition to our line of displays aimed at supporting our customers as their technology needs change throughout the day, whether working, playing or somewhere in-between. The Dell 34 Curved Monitor (P3418HW) will be available to order Nov. 29 in Europe, the Middle East, Africa, and Asia and Jan. 9 in the United States for $699.